CES 2018 best sound of the Show …. 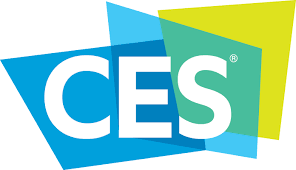 The best sound at CES—indeed one of the best sounds I’ve heard at a trade show— undoubtedly came from the big, $191k, three-and-a-halfway (two 1″ diamond tweeters, two 7″ Omega 7 midrange drivers, and two 11″ Nomex-Kevlar woofers in a D’Appolito configuration) Kharma Exquisite Midi Grand Signature floorstanders, driven by Lamm Industries’ ML3 Signature monoblock amps, LL1.1 Signature preamplifier, and LP1 Signature phonostage, sourced by a TechDAS Airforce 1 turntable (with SME 3012-R tonearm and Clearaudio cartridge) and an Aqua La Diva transport and Formula xHD DAC, and wired by TchernovCable. Housed in a large room on the 35th floor, this sensational system was spacious like nothing else at the show—and gorgeous like nothing else at the show, producing a supremely beautiful sound wherein everything was in balance, everything was exquisitely defined (though not over-controlled), everything was imbued with lifelike bloom and color…. it was worth coming to Vegas just to hear this system.